When you contact Amarillo Gear Service to renew your drive, we will provide you with a “Not to Exceed” Quote that will explain the potential cost of renewing your drive. Once your drive has been received, an Amarillo Gear Service technician will inspect the drive for any visible signs of wear and damage. 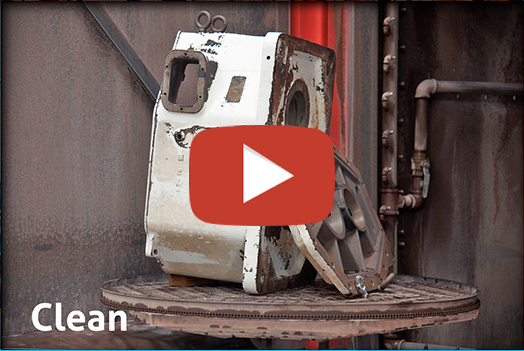 Often, parts can be cleaned and reused which can result in considerable cost savings for our clients. Once this inspection has been conducted, our technicians will provide you with an “As Found Condition” Report. This report will include photographs and an updated quote for you to consider. 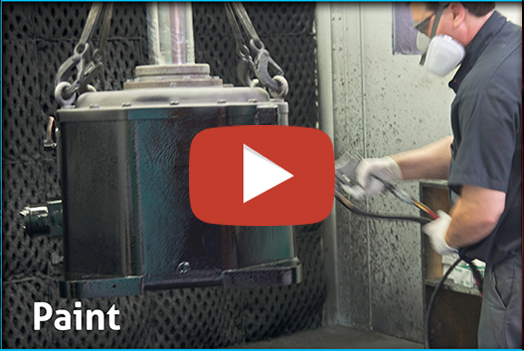 After you have approved the report and the updated quote, your drive will be renewed from the inside out, tested, and double coated with marine grade epoxy paint. When the drive is completed, it will be returned to your specified destination with a one year warranty. After your drive is inspected, an “As Found Inspection Report” will be prepared along with a detailed quote. This will include photographs, observations made by the technician, along with a detailed quote recommending parts to be replaced. If necessary, we will replace the spiral bevel gears along with the helical gear and pinion. In some cases, we may need to replace the vertical output shaft as well. This quote will include pressure washing the interior and exterior of the drive. 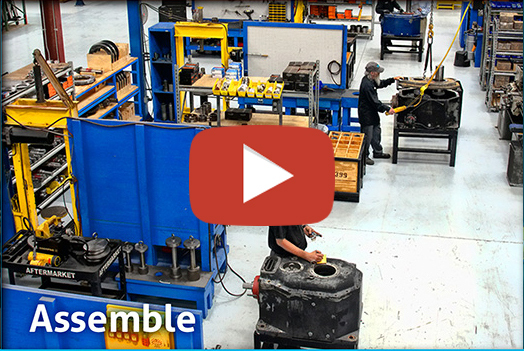 Commonly, new bearings and seals as well as shims and o-rings will need to be replaced. Once everything is ready, we will check external hardware, set gear clearances and conduct a no load spin test. Then, we will sandblast the unit, and apply double layer of epoxy paint, usually returning the drive to the original factory paint color. Often, gears and shafts can be reused. 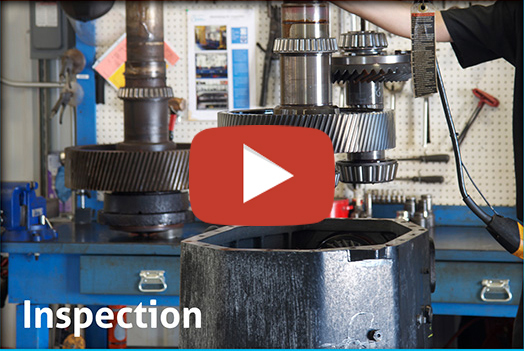 For this reason, we will conduct a visual inspection to determine the overall condition of the gears and shafts. We will include the results of this inspection with the original quote. However, not all defects can be discovered via visual inspection. That is why we offer to perform magnetic particle inspection upon client request to determine whether hairline cracks are present. These cracks are not visible to the naked eye. Inspections and repairs of drives are performed by Amarillo Gear Service technicians in our ISO Certified renewal facility. Amarillo Gear Company has been in continuous operation in Amarillo, Texas since 1917. The name “Amarillo” has earned a global reputation for quality gears and drives that industrial leaders rely upon for conducting their operations. For more information, give us a call at (806) 622-1273. You can also Contact Us via email and view the regions we service. We will be glad to tell you more about the quality workmanship we can bring to the renewal of your drive.